You want to learn card magic, huh? Dai Vernon, known to most magician simply as The Professor, famously said, “If you don’t like to practice, you should get another hobby.” While this news may seem harsh, it’s most certainly important if you want to learn card magic. If you don’t like to practice, at least to some extent, you simply won’t progress. However, I’ve learned from my own experience, and from teaching hundreds of students in my online training program, that the reason many of us don’t enjoy practicing is simple – we don’t know how to do it. Either we don’t understand the practice process, or we have unrealistic ideas or expectations. 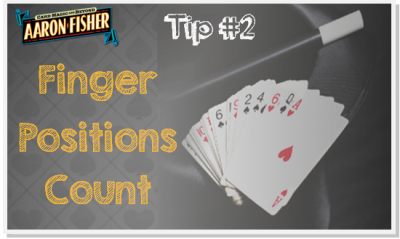 Practice can, and should, be a fun and highly productive thing… learning card magic. In fact, practice can become downright addictive! 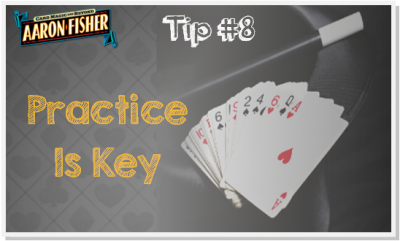 Here are 8 ideas to keep in mind so that practicing close-up card magic become the most rewarding part of your day! Learn card magic on youtube??? Let go of the idea that you can get any information you want for free on the internet. Sure, you can get a lot of good material and many things to think about. But remember – you’re going to be practicing these techniques for years, if not the rest of your life. The money spent on getting the most valuable information from the most trusted sources (whether on video, book or directly from a teacher) pales in comparison to the months or years you could waste polishing what turns out to be a sub-standard approach. Keep in mind, deceiving a live audience is a much different than fooling a one eyed, low-rez webcam. 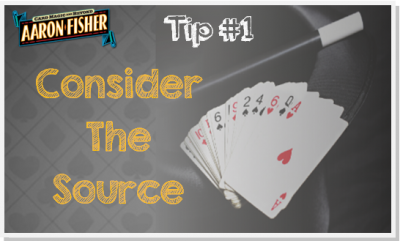 Choose the wrong sources to learn card magic from and the only one you’ll be fooling is you. For best results, consult classics by masters such as Tamariz, Vernon, Marlo and their students. To find out about the important sources for close-up magic, you can do no better than to start by watching this documentary. I was fortunate enough to have many of Vernon’s top students as friends and mentors – and that’s a chief reason my magic has progressed. This is so important, and misunderstood. Quite often, I work with talented, committed students that take many, many months to truly understand the importance of seeing, and applying the correct finger positions. You must begin to deeply examine each finger position at every single moment of the sleight. Does the finger touch the cards at the outer, inner, or middle joint? Is that the pad of the finger, or the tip? Or the right side of the tip? At first, these might seem like endless questions, but as you begin to ask and answer them, you’ll begin to see the level of detail required to become a true sleight-of-hand artist. These super fine details are clearly shown in the performance videos of any master close up magician. But have you learned to look closely enough to see them? If you’ve ever had a chance to work with a good video editing program you’ll know what I mean. 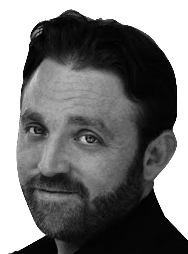 you look at the time line in seconds, and then in order to make fine edits and cuts, you have to zoom in. Now it takes the same space to display the timeline of a single second that used to display a full minute of screen time. When you zoom in far enough, a single second can be divided into a hundreds of moments. When you cease to repeat the action of the sleight mindlessly, and begin to investigate the action moment by moment, you zoom in – and the single moment during which a sleight takes place expands before you into an eternity. Like the character Neo at the end of the modern classic film The Matrix, you can now see things, really fast things, in slow motion. Now, for the first time, you can see the many details, positions and actions required – and how to perfectly sequence them into a perfect illusion. The Practice Process tends to loosely, but inevitably, flow through a series of specific stages. Research and Development blends into Mechanics and Experimentation. Once you begin to understand the mechanics, you work to perfect them. Once the mechanics come clearly into focus, you begin Refinement and Polishing, which includes eliminating tells and flashes. In order to learn a serious sleight, for example the Half Pass, it’s very important to work through these stages more or less in order. You can’t eliminate flashes before you understand the mechanics. You can’t effectively work to understand the mechanics of a technique until you’ve chosen exactly which technique and instruction source you wish to use. You must tackle the big knobs before fine tuning the smaller ones. For example, you may dream of a perfect shower, but you don’t build the toilet before digging the foundation. You’ll just have to rebuild the toilet later! This is one reason a magic teacher can be so helpful in the learning process. 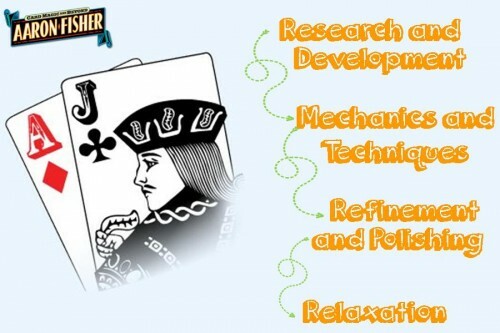 Your teacher can help you see what demands your attention today, and show you how delaying work on some seemingly crucial detail will ultimately lead to better results in less time – and of course, more fun practicing card magic. This type of clarity become much easier after you’ve shepherded a few sleights to perfection the hard way. Eventually, you begin to understand the process, and develop intuition about when elements to focus on now – and what to save for later. The most effective magicians learn to practice a technique in stages. In this video, I’ll show you an example from the Pathways Complete Card Magic Training System. 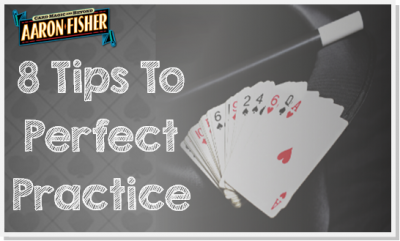 As you’ll see from this video, our approach to practice changes as a sleight develops. This one took me years to learn! Many card workers practice sleights in a vacuum, as though moves are meant to be performed with the audience staring at your hands – almost as a demonstration. During our first several years learning card magic, this is a particularly easy mistake to make. No move is an island. During the early stage of Research and Development, you must factor in how the sleight is to be misdirected in performance, and how it will be structured into routines. These factors will help you choose the exact approach you’ll choose, and the source you’ll learn from. As a rule of thumb remember this: There is no secret action that is designed to be burned by the audience. None. Only choose sleights that can be covered in performance, and incorporate that eventual goal into nearly every practice session. This way, the finished product will not only look good to the eye, but even better, contribute to the finished illusion of magic that truly astonishes and audience. While very few sleights are truly invisible from every angle, like the Gravity Half Pass, you shouldn’t waste too much time working on sleights unless you know, through your Research and Development, that they are angle efficient – that means they can be executed invisibly from most angles. And that any bad angle can be covered in performance – and still leave the impression of an imperceptible sleight. Many popular sleights sold on magic sites do not meet this ancient, all important standard. But once you have found and chosen a sleight that does, and once you’ve developed a good sense of the basic Mechanics, your work is ready for the next stage. 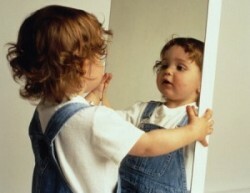 Go to the mirror, or your webcam, and practice working the sleight until you see nothing – absolutely nothing! How does the move look from your left? How does it look from the right? Your job as a close-up magician is to know how to adapt a sleight to each one of these situations, and make sure that when you perform, nobody can see a flash, or sense a tell. No one can do this part for you. Some workers make the decision not to flash – others don’t. Comedians have a term called ‘laughing ears’, for comics that get off stage and imagine that everyone was laughing during their set. Magicians have ‘deceiving eyes’ – its a similar problem. It comes when you convince yourself you’re not flashing because you want to believe you’re not flashing. Again this is an area where some real instruction from an effective teacher can be invaluable. Go to the mirror to learn card magic– it’s a hell of a good teacher. And stay there until the work is done. If you’ve chosen a sound technique and a good instructional source – you know it’s possible. So now do it! This makes the rest of the process possible. 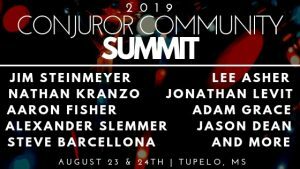 When I first began connecting with my mentors like Larry Jennings, Michael Skinner and Johnny Thompson, I was shocked and scandalized when they told me that even the simplest sleight would take over a year to learn, and that advanced moves like the pass would take several years of practice. I simply couldn’t understand what they meant. I thought If I worked hard enough, I could cram five years of practice into five weeks. Turns out – the masters were right. This process takes time, patience and caring. You have to want to do it because you love doing it. And that’s the good news – because much of the time, we tell ourselves it’s a question of talent. And that’s not true at all. 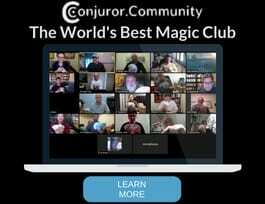 If you love card magic, and you want to practice – and you’re willing to spend the time it takes, and get the help you need along the way, there’s good news. You have what it takes to become a real close-up card magician. I’ve seen enough students by now to know. You’ll never REALLY learn how to do magic. But if you spend a few years paying attention – you’ll learn how to learn magic. And if you can do that – your practice will yield fruit beyond your wildest imagination. You’ll amaze and astound – everywhere you go! Your Turn: We’d all love to hear about YOUR practice process. What’s worked for you? What hasn’t? How has your practice process changed along the way? Let’s make this a discussion we can all learn something from – and thanks for practicing the art of magic with me!